health insurance coverages. R&R Insurance’s Individual Health Insurance Division can help you navigate the road of options and determine the best route for your future. 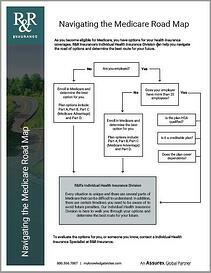 Please fill out the form to the right to view your copy of 'Navigating the Medicare Road Map' white paper.